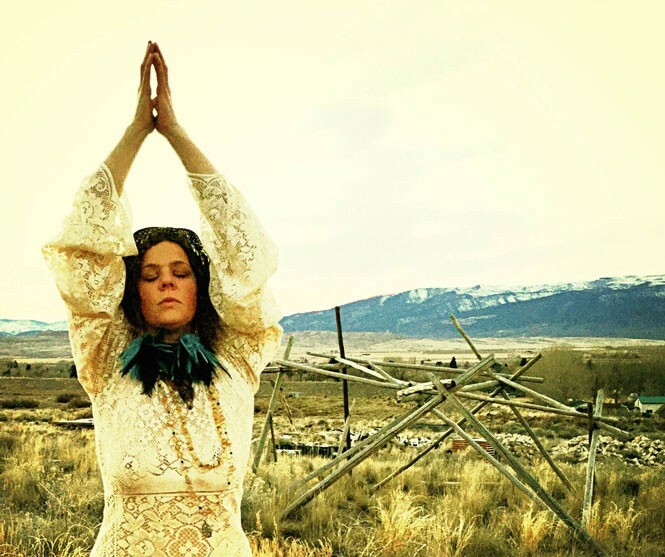 Aubrey Ixchel—aka Lady Rainbow, Faerie Godmother—is inviting women to join her and Wild Rose, Medicine Woman at Mystic Hot Springs in Monroe, on April 4-6, for a star-seeded retreat to soak in the hot pots and express themselves through dancing, singing, art and photography. At the gathering, Lady Rainbow, Faerie Godmother (who is married to Mystic Hot Springs owner Mystic Mike) will lead women in the exploration of light and shadows. She spoke with City Weekly about the full-moon ceremony. Check out AubreyIxchel.com/be-light-be-shadow for more info on the retreat. What is the significance of light and shadow? When I feel like I'm shadow, I feel like I'm more hidden—and, when I'm dealing with my light side, I'm creative, more out there. I feel like everyone has these two sides all the time and what a beautiful thing to be able to celebrate that through dance, art and photography. I have a powerful place in both my shadow and my light. Neither of those places scares me because I feel comfortable. For me, the balance is where it's perfect to be alive. Is the retreat meant to empower women? "Empower" isn't the right word. I'm not doing this because I think I know something better than anybody else. But maybe, if we're all there together, we can all share in ways we haven't shared before. Something can happen, and we can have a lot of fun. We are all made of the same stuff. We're made of stardust. I can see that everything around me and everything in nature is the same as me. Everything I can see is only because that's what I am. I want us to come together as sisters to reflect that. How intimate of a gathering will this be? Bonnie Paine from Elephant Revival and Mackenzie Page of the Colorado-based band Gipsy Moon are going to be performing intimate, private performances and teaching a song. So this is a really unique and rare opportunity to see these ladies in such an intimate way. If this gathering sounds interesting to you, then it's for you. We're hoping that this will be a very customized, very personal experience, where each lady feels seen, each lady feels heard, each lady feels she can express herself, however that comes out. We decided to be open about who this calls to. We're calling out, and we'll see who responds. This is the first year you have put together this gathering? Yes, this is the first time, and we hope it becomes a regular thing. We'd like to hold our next one around the Harvest Moon in the fall. We'll gather here at Mystic Hot Springs again, and we're excited about how big a circle we can get that resonates with the star-seeded message.